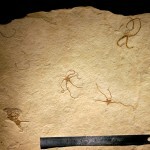 In Hienheim it is all about fossil Brittle Stars. 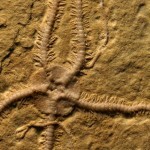 The most Hienheim Fossils are Echinoderms everything else is rare. 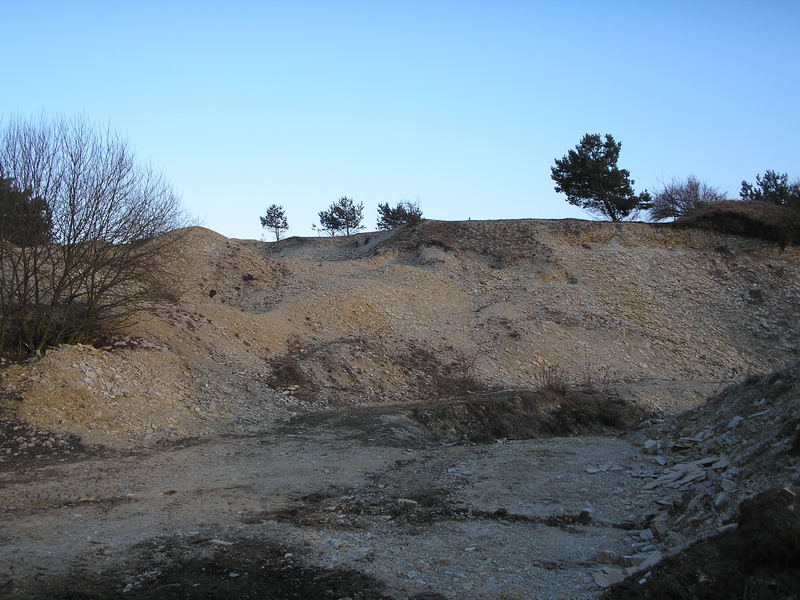 The old Quarry of Hienheim is in the age and general setting relative similar to Solnhofen. It is slightly younger. But represent are more shallow environment. In general the stone can not be called a lithographic limestone, even there are some limestome horrizons in the quarry. But laminated mud stones are dominating the profile in Hienheim. The geological age is lower Thitonian (Malm zeta 3, Hybonotum Zone, Rueppellianus Subzone) it is a little younger than the classical Solnhofen limestone. 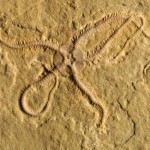 Generally Ophiuroid echinoderms are here the most common Hienheim fossils. In some horizons these can be abundant. But also other fossils like ammonites, Brachiopod, bad preserved ammonites and even fossil fish can be found in Hiernheim. Beside of Ophiuroid echinoderms is a spectaculair starfisch of the species Pentasteria tithonica been discriped by KUTSCHER and RÖPER in 1999*. Some rare and large finds are documentated. 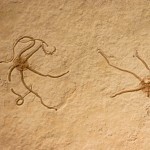 Other Hienheim Fossils are sparsely documented. This is a remarkably short list regarding that the Hienheim at the Stieberberg was opened 1972. Also scientific excavation in 1994 of the Bürgermeister Müller Museum found place. Günter Schweigert mention in 1999* that are no Belimnites are been documentatad from this site.